A new way to celebrate the holidays is gliding into Thurston County this winter. Oly on Ice will open on Friday, November 16 in downtown Olympia at Isthmus Park. 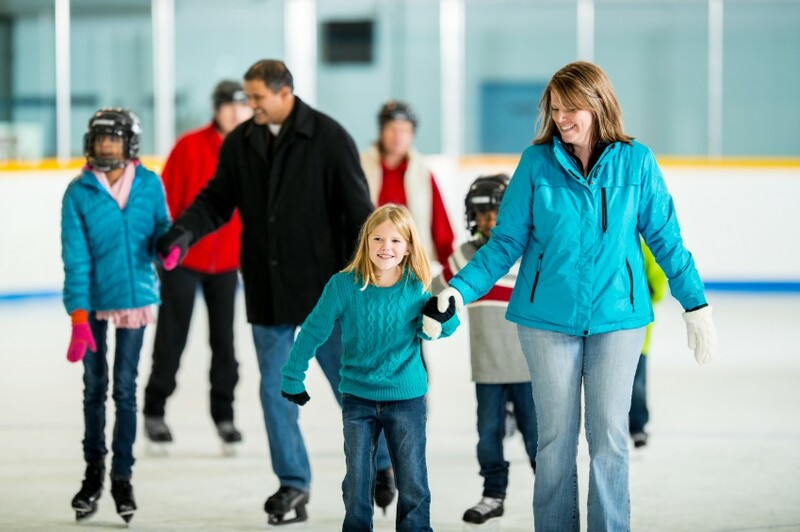 The entire family can come out to enjoy ice skating at Olympia’s first-ever seasonal ice rink. Skaters of all ages will enjoy the warm glow of activity during the busy rush of the holiday season at the tented rink. The grand opening will take place after the Downtown for the Holidays tree lighting ceremony on November 25. Live music, special guests and more will kick of the most wonderful time of the year. Skate along side some Sugar Plum fairies or some mischievous mice when Ballet Northwest’s Nutcracker cast joins the fun. Cast members will be available for selfies. Not just limited to celebrations in June, don your rainbow attire and join Pizza Klatch for an evening welcoming everyone. Certain to be popular, this event focuses on a Harry Potter theme. Community partner, South Sound Reading Foundation, invites wizards and muggles alike to a night of magical treats including trivia and prizes. So bundle up and head down to Oly on Ice with family and friends and makes some great holiday memories. Moving to the Pacific Northwest is a new adventure for Leila Borders, MD, who is joining the team at Olympia Orthopaedics. Hailing originally from Georgia, the doctor stayed true to her southern roots when pursuing her undergraduate and graduate degrees at Emory University and Mercer University, both in her home state. Before starting her new role, Borders is completing her primary care sports medicine fellowship at the University of Cincinnati Medical Center. She completed her internal medicine residency at the same institution. As part of her training during the last year, she is helping college, high school and semiprofessional athletes to stay at peak performance, in addition to addressing routine health care issues and injuries. One way Borders will do this in Olympia is through total joint readiness for patients preparing for joint replacement surgery. Maximizing a patient’s ability to engage in physical activity before surgery can help the patient have much better results after surgery. Borders is certified in internal medicine by the American Board of Internal Medicine. Olympia Orthopaedic’s Westside Clinic has begun scheduling appointments for Dr. Borders. We welcome Dr. Borders and her expertise to our community. Well 80 Artesian Brewing Company opened its doors March 19 in downtown Olympia. Complete with a restaurant and a 10-barrel brewing system, Well 80 is a brewery and brewpub built on the site of one of Olympia’s famous artesian wells. In addition to tasty craft beers, Well 80 serves pizza, burgers and sandwiches, all with a unique twist, in its all-ages restaurant. Co-owner Chris Knudson is enthused by revitalization efforts bringing a new sense of excitement to downtown Olympia. He also points to a number of craft breweries in the area that have surfaced in the past few years. Three Magnets Brewing, Matchless Brewing and Top Rung Brewing are joining local staple Fish Brewing Company. 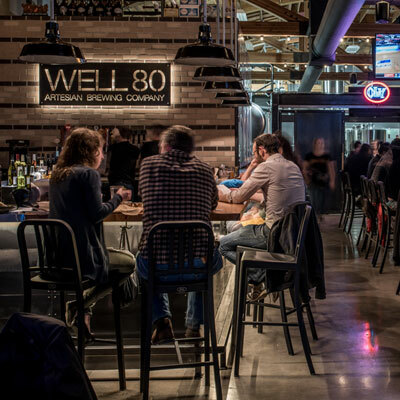 At Well 80, all of its “Well Made” beers are brewed in-house by experienced brewers. The company also features a series of rotating guest taps supporting the local brewing community. You might find Triceratops Pennsyltucky Lager, Cascadia Elderberry Porter, or Whitewood Cider Co. Olivia Newtown-Jonathan cider blend. Well 80’s goal is to follow in the footsteps of Leopold Schmidt, Paul Knight and all the other pioneers that made great beer from some of the best water in the world. With an identity unrivaled by any other city in the region, Olympia is growing as a place of economic, social and development opportunity. Joining this vibrant community is Percival Condominiums, a seven-story development built with its residents—and Olympia’s character—in mind. 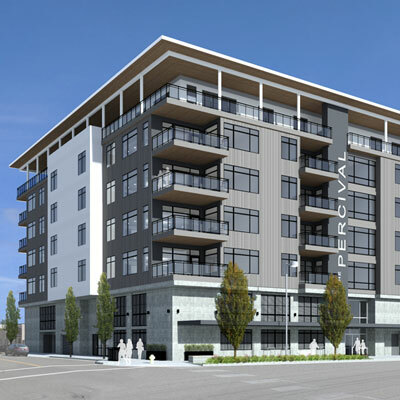 Percival Condominiums will be downtown Olympia’s first upscale condominium community. Located in the heart of the city near Percival Landing, this contemporary 28-home building will include five floors of residences and two floors of parking. Ten floor plans, ranging from 1,300 to 2,400 square feet, each include a spacious balcony for outdoor seating and dining. 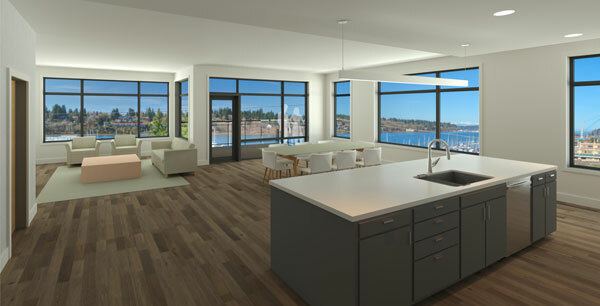 Only eight condo units have been built in Olympia in the last 35 years, so Percival Condominiums fill a demand for people who want to live downtown and own their home. Its location makes it just a short walk from fine cuisine, shopping, entertainment and Percival Park’s boardwalk. The ambitious project is the most recent development of the Rants Group, a longtime commercial and residential real estate company based in and focused on Thurston County. Percival Condominiums are now pre-selling with a move-in date set for 2020. Future residents will join a lively, enriching downtown district while contributing to Olympia’s unique and evolving identity—all while enjoying breathtaking views of Puget Sound, the Olympic Mountains and the Capitol.